Kerry Murphy did her undergraduate and postgraduate degrees at the University of Melbourne. The research for her PhD (1984) “The Formation of the Music Criticism of Hector Berlioz” (Melbourne University Postgraduate scholarship) was done under the supervision of M. François Lesure (Ecole des hautes études, Paris) and Meredith Moon at the University of Melbourne. While studying in Paris (1980-82) she participated in the Musicology seminars run by Lesure at the Ecole des hautes études. Before taking up her lecturing job at the University of Melbourne, she worked as an assistant archivist at the Grainger Museum and lecturer at the Australian Catholic University and the Canberra School of Music. In 1990 she was awarded a Melbourne University Research Fellowship for Women with Career Interruptions, which she shared 0.5 with a lectureship at Melbourne University. 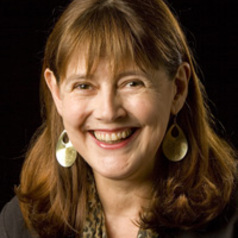 Kerry Murphy has attracted substantial external peer reviewed grants (2 ARC large, 4 ARC small) and has convened or co-convened a number of significant conferences, including “Music’s Audience” (2001, keynote Stephen Banfield, Birmingham), the 2002 National conference of the Musicological Society of Australia and an international Symposium on 19th Century French music in 2004. She is a founding member of the UK Arts and Humanities Research Council Network Francophone Music Criticism 1789-1914, and since 2006 has been an Honorary Associate (and Australian corresponding member) of CHOMBEC (UK) (Centre for the History of Music in Britain, the Empire and the Commonwealth). She is also a member of the artistic advisory board of the Victorian Opera Company. Kerry Murphy’s research interests focus chiefly on 19th-century French music and music criticism, and colonial Australian music history. She has a particular interest in opera and in reception studies. In both her areas of research, Murphy has built up and fostered postgraduate study, running special reading groups and also employing her postgraduate students as research assistants. Of her 10 successful doctorate supervisions, 4 have books out or about to appear with major publishers. Her postgraduates consistently achieve outstanding results. Murphy has been productive in attracting international scholars to the Melbourne Conservatorium of Music (through a number of grant schemes); this has enriched the scholarly and research climate for staff and postgraduate students.